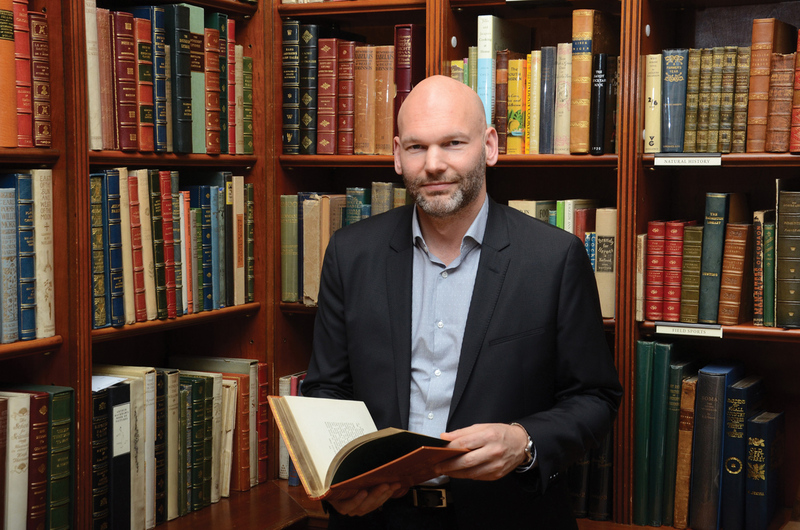 'Firsts – London’s Rare Book Fair' chairman Pom Harrington. In his first year as the chairman of Firsts – London’s Rare Book Fair, dealer Pom Harrington has his work cut out, not least finding a new chief sponsor for the 2019 edition to replace AbeBooks. Here, Harrington tells ATG how the partnership will work as Firsts London seeks to grow. ATG: You’ve moved quickly to replace the ABA fair’s sponsor of the past three years, AbeBooks. PH: It was very clear that dealers were upset at AbeBooks withdrawing from certain countries and the decision to drop them as sponsor of Firsts – London’s Rare Book Fair was ultimately taken by the ABA Council and the Fair Committee. We then looked for new sponsors and Biblio popped up quite quickly. ATG: Aside from financial support, what does Biblio bring as chief sponsor? PH: The official partner of Firsts London is not just about financial support, it’s having a company that fits with a fair representing independent booksellers. Biblio is that company. It is an independent marketplace, not corporate at all and so a great fit with a fair for fine booksellers, many of whom are sole traders. Biblio sponsors a couple of fairs in the US and being the ABA’s fair partner is a big step for them. It has a base of 5000-plus dealers and a UK presence, looking to expand into Europe and with social media marketing that is particularly strong. They’re also a pleasure to work with. I had dinner with the CEO, Brendan Sherar, recently when he was in Europe. He came to London specially to see us and he was impressed with the Battersea Evolution venue. So, overall, Biblio is fully engaged with promoting the fair, which is what you look for in a partner. ATG: What are your ambitions for Firsts London with Biblio on board? PH: As a books marketplace, Biblio has great reach. We want to market this fair to as many people as possible to buy and sell rare books. We’re looking for more private customers to visit the fair but also a strong partner like Biblio will encourage more exhibitors and there’s capacity at the Battersea venue to do that. We’re the oldest but not the world’s biggest rare book fair, which is the New York International Antiquarian Book Fair [March 7-10, 2019]. We have an exciting joint project to market the fair, including from February, Biblio giving free invitations to its dealer members and buyers, which is brilliant. We’ve also agreed a strong social media campaign across Facebook, Instagram, Twitter and the website. ATG: How does the exhibitor base break down currently? PH: Of some 170 exhibitors last year, about 30% were from overseas, across 20 countries, who tend to come in quite late. Normally we get about 35 European dealers and this year 11 from the US have already signed up. There are two more months to do so. ATG: What was the thinking behind the fair’s rebrand to ‘Firsts’ last year? PH: The whole point about Firsts London is that we all deal in the first appearances of things – the first On the Origin of the Species by Charles Darwin, or Bentley’s first photo of Mount Everest, the first letters from Charles Dickens, or the first book showing a tulip. We’re all collectively dealing in firsts, which I think is a more suitable description than ‘antiquarian books’, as the fair is so much broader in what it offers. 'Firsts' covers the fact that you can buy 20th century and contemporary books, manuscripts, photographs and letters at the fair. ATG: What other news may we expect about Firsts? PH: You already know that we’ve moved the fair from late May to June 7-9, 2019 and away from clashing with half-term in schools [21-27 May, 2019] and the RHS Chelsea Flower Show [27-31 May, 2019]. There’s no question that where it was scheduled hurt attendance on Friday and Saturday on general public day. So, this year, I expect a serious increase in the number of visiting general public to the fair. We have some plans to announce shortly – one new associate partner that is not competitive with Biblio, which will be a real add-on.